The publication of Homeopathy for Plants heralded the start of a truly green revolution. The book has sold over 60,000 copies and been translated into many different languages. It’s a handy guide to the most common plant diseases, pests and types of damage with information on how to treat your plants with homeopathy. 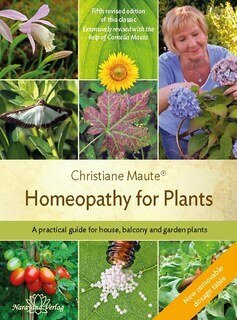 Christiane Maute® is one of the pioneers who has been using homeopathy on ornamental and edible plants for many years. Whether leaf spot on roses, brown rot on tomatoes, fire blight on fruit trees, aphids, leaf curl, cancer, mildew, monilia fruit rot, snail and slug damage, black spot or just poor growth – Ms Maute explains the tried-and-tested remedies for the most common diseases. Clear and precise instructions are also given for the layperson to treat plants for the effects of frost, hail, damage, wounds following pruning of trees or bushes, heat damage and the effects of repotting. Most diseases are illustrated with pictures, making it easy for you to recognise the disease and quickly find the correct remedy. Dosage and application are clearly described and a compact materia medica of the remedies rounds off the book. The numerous real-life examples added for this comprehensively updated edition demonstrate that homeopathy for plants has now come of age. There is also a new chapter on houseplants, covering the homeopathic treatment of typical problems such as fungal infestation, temperature damage or waterlogging. 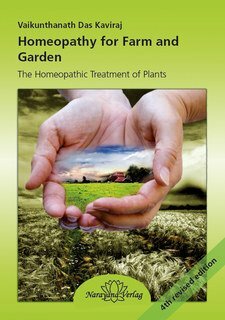 A great guidebook specially for amateur gardeners which will surely convince even those unfamiliar with homeopathy to give it a go!